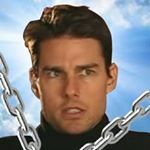 freetomcruise is the internets newest meme page focusing on funny videos and funny memes. The account's goal is to make people laugh and to bring joy to people. We continue to grow every day. If you are interested in spreading your #ad across the multiverse, please consider doing so through freetomcruise! Demographic data for @freetomcruise's audience is available for free to influence.co users.